Hyehwa is an area famous for its dozens of theaters making it one of the artistic centers of Seoul. Unfortunately, very few plays are in English, but that doesn’t mean Hyehwa has nothing to offer. You can often see some abstract art sculptures, galleries, and even the odd street performance right off the subway exit. In recent years, it has also opened up a good variety of foreign food restaurants including Italian, Chinese, Indian, Mexican, American (breakfast / burgers), Thai, Japanese, and even a Turkish spot in one of the alleys. If you come for dinner, there are a number of interesting bars for a crowd that prefers to chill with a beer instead of going hard all night long. My personal favorite is the “junk bar” (not the actual name of the bar) which seems to have slapped their decorations together with what they found in a dumpster, from mattress coils to really old liquor bottles. Definitely an odd but interesting place to have a beer. Pro Tip – Eat street food here. It is cheaper and better than Myeongdong. The Big Eastern Gate (‘dong’ means east, ‘dae’ means big, ‘mun’ means ‘gate’…you’re already learning Korean!) 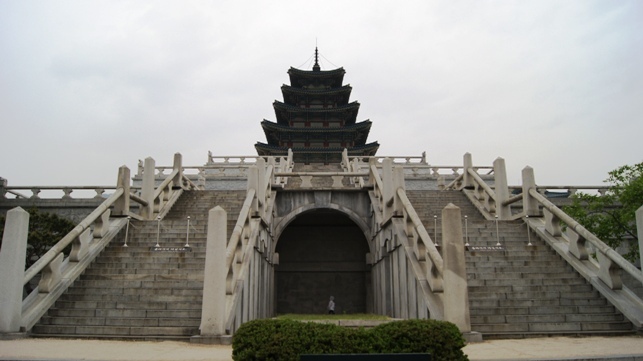 is the second largest remaining doorway to the previously walled city of Seoul. The rear has a fortress loop which was used as an additional sentry station. For more than 600 years, it has left visitors in awe, and I predict you will be no different. There is a Seoul Wall Museum nearby too if you are so inclined. Pro Tip – While Namdaemun looks prettier at night, this one actually looks better during the day. The National Folk Museum displays a brief history of Korea since the dawn of humanity on the peninsula till the end of the Great Korean Empire in 1911. Its location within Gyeongbok Palace adds to the convenience and the entrance is hard to miss given its towering and beautiful pagoda is visible from pretty much anywhere within the palace. 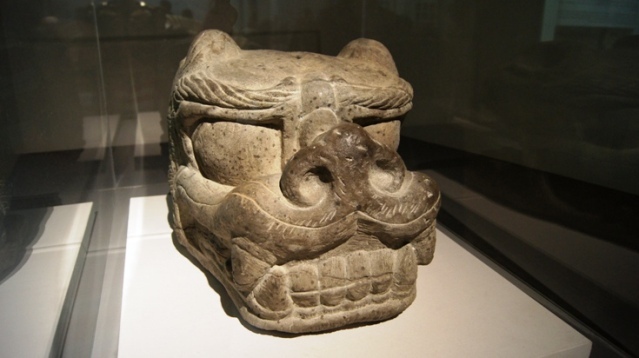 Pro Tip – Pressed for time and don’t plan on visiting the National Museum of Korea? This is an acceptable substitute. 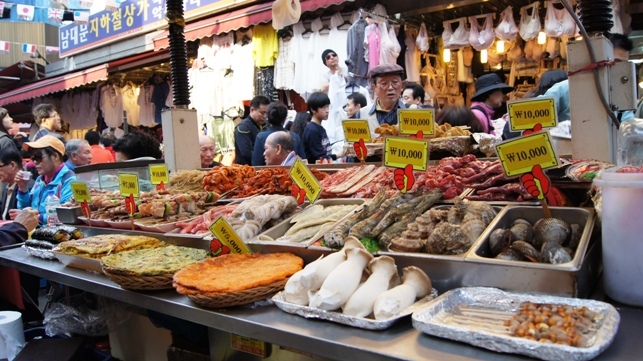 Dongdaemun Market is a combination of indoor and outdoor markets located around the Dongdaemun gate in central Seoul. It is famous for having some of the cheapest clothes around to fit everyone’s shopping needs. It also has quite a few shops that are open 24 hours, so if you feel like shopping at 3am, by all means, Dongdaemun Market awaits. Pro Tip – Want to take a hanbok home? Dongdaemun’s underground plaza has the cheapest ones around and can even tailor one to your size at a relatively reasonable price (by hanbok standards). I am constantly surprised at how many don’t even know this place exists. King Sejong and Admiral Yi Sun Shin are the two greatest heroes in Korean history. So, where are their museums? Shouldn’t they be in the center of the city for all to see? Turns out, they are! The museums are located underground, directly beneath their famous statues on “Sejong Street.” This area is always filled with people, but their museums are never crowded. I think no one knows where the entrance is! To get inside, take the seemingly unimportant door behind the golden statue of King Sejong. 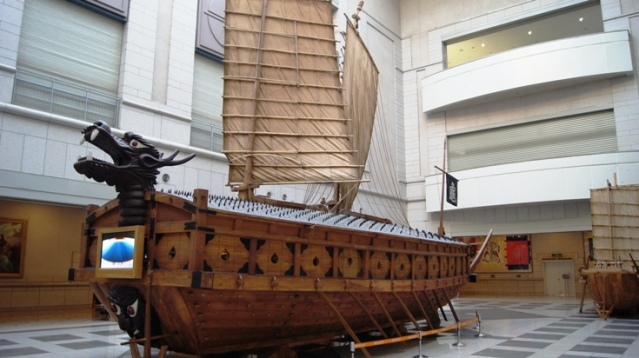 Of note is a replica of Yi’s turtle ship, a 4D movie about Admiral Yi’s battles against the Japanese, and you can even be taught to write your name in Korean with calligraphy brushes, all for free! In addition, foreigners are allowed to write their name twice so they can leave one there, and take one as a souvenir. Pro Tip – You might leave the museum thinking PROPAGANDA and some (non-Korean) experts do say Sejong gets a lot of credit for what was done by a number of scholars. However, Yi Sun Shin is the real deal, and this cool animated video explains it all. Changgyeonggung is another one of the five great palaces of Seoul. While it has always served as secondary to Gyeongbokgung or Changdeokgung, it is nonetheless impressive. 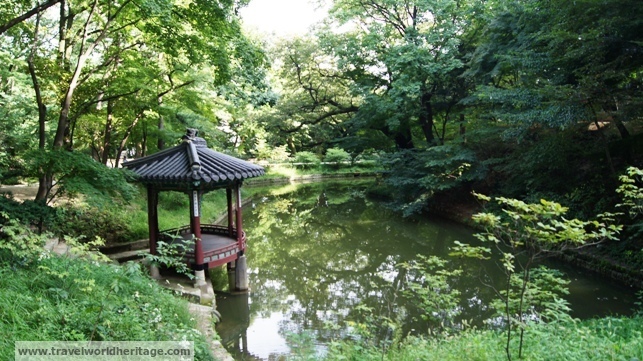 Like Changdeok, it also has a garden out back where visitors can go on a hike and forget that they are in the middle of one of the most populated cities in the world. There is one incredibly weird feature that kind of blew me away. There is a huge stone jar out in the garden that was used to store the umbilical cords and other gooey fetal fluids from the royal children for generations. As far as I can tell, this was never destroyed by the Japanese, and might in fact, still be original. That’s some pretty nasty history right there. Pro Tip – Best time to go is the spring, where you can see cherry blossoms and other flowers by the border of Changdeokgung Palace towards the back. Also, if you’re lucky, you may see some Royal Ducks. 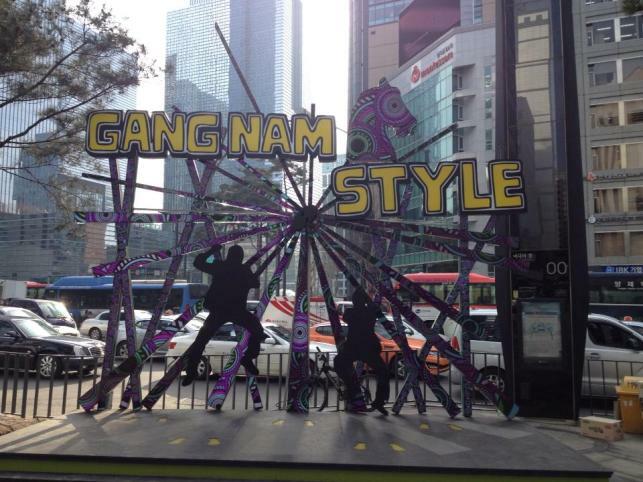 Gangnam literally means “south of the river” pointing to its geographical position relative to the Han River. It is one of the busiest commercial districts of Seoul, popularized worldwide by the god-awful song, “Gangnam Style.” Despite my personal objections to that tune, the district is a great place for shopping, finding a great restaurant, or having a few drinks. 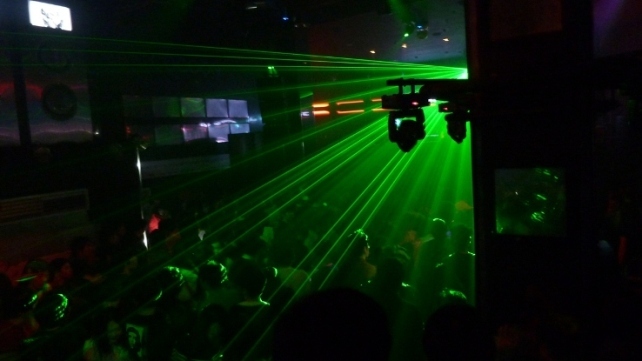 If clubs are your thing, just off of the main Gangnam strip are a number of bars and clubs to shake it all night long, including Octagon, ranked the #6 best club in the world a few years ago. Make sure to come with a full wallet as Gangnam tends to cater to the wealthier Seoul crowd. 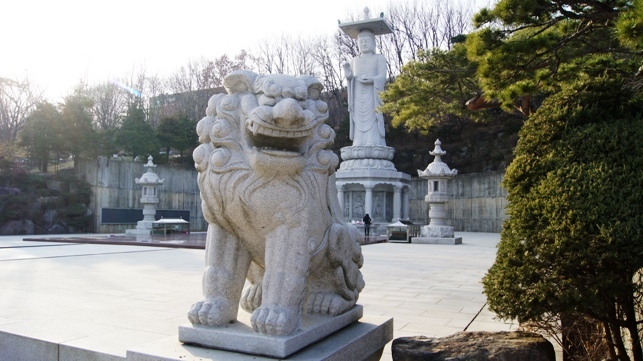 Bongeunsa is a Buddhist temple in southern Seoul that has a history spanning over 1000 years. One of its best features is the huge Buddha on the north-west side which towers above the surrounding area. English ‘Templestays‘ are available as well tours and daily tea ceremonies. The time around Buddha’s birthday (April-May) is great time visit when the complex is adorned by beautiful paper lanterns. 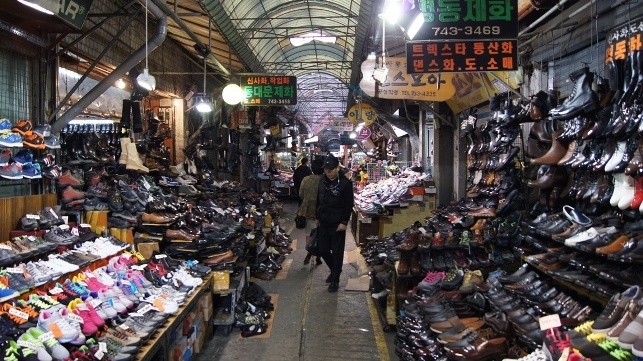 Namdaemun Market is Korea’s most famous and oldest traditional marketplace. The main alley (directly out of Hoehyeon Station Exit 5) is the most crowded and leads directly to Namdaemun Gate. It is a gastronomical wonderland, but can seem a little intimidating to Korean food beginners. Make sure to come on an empty stomach, don’t be afraid to experiment, and for a little guidance, take this list of the best Korean foods to know what to look for. The side alleys are your best bet for more food options and awesome deals for anything from souvenirs, to pots and pans (yes, really). Don’t be afraid to haggle when buying things in bulk (especially gifts), but in general, the prices will already be pretty reasonably priced and Korea doesn’t make a habit of trying to rip off foreigners. You are unlikely to get more than a 10-15% discount. If you are looking for a hanbok, you can probably find a cheap one (relatively speaking) here, too. Pro Tip – While the big buildings surrounding the outside market look abandoned, they are probably the best places to get a good deal on knick-knacks for your family. 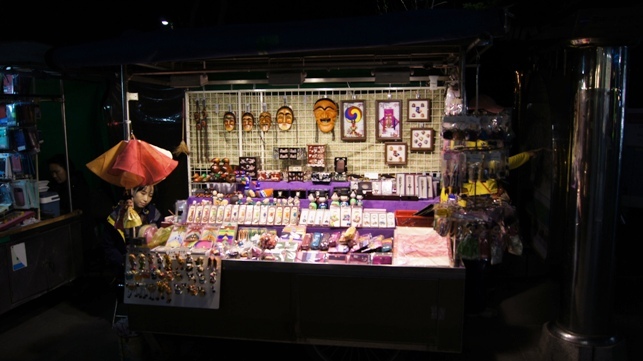 The long road known as Insadong was first commissioned to be a place for artists to display their works and sell traditional Korean art in the form of calligraphy, paintings and carved masks a little over a decade ago. As time went on, many shopkeepers realized that visitors were far more keen on buying key chains and chopsticks, than their art. While the original products remained, they became a front for the far more booming “knick-knack” industry. Since this area has special tax breaks for the purpose of promoting Korean culture, the government was not too happy. In the last two years or so, Insadong has begun to clean up its act with art galleries (most of which are free) and the traditional arts sold side by side with the souvenir shops. One personal favorite is an old master calligrapher who sets up shop in the middle of the street. He always draws a crowd with his skills, so it is hard to miss him. Pro Tip: Namdaemun Market has the same souvenirs for cheaper. If you must shop here though, buy from the side streets as the price difference is enormous. Pro Tip 2: There is a guy who regularly ‘busks,’ I guess you can say, by making large calligraphy writings for people. This is quite a spectacle to watch and legend has it (read, some random dude told me) that he was once a calligraphy master. 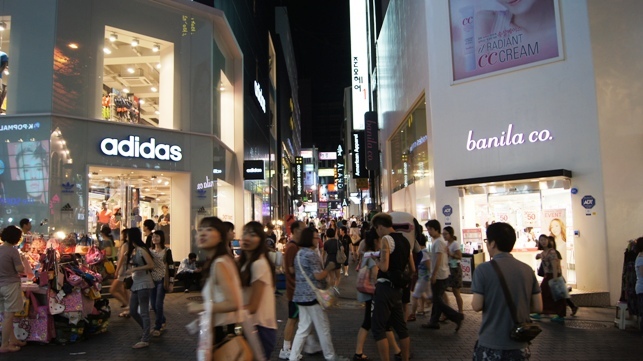 Of all the main shopping districts of Seoul, Myeongdong best portrays the hyper-shopping culture that is present in modern day Korea. If you have ever seen pictures of Seoul, and there is a very busy street with a million neon signs, shopping galore, and just insane crowds, you probably saw Myeongdong. There are dozens of international chain stores (Zara, Mango, Uniqlo, H&M) as well as smaller boutiques and cheaper outside stalls selling everything from scarves to cosmetics to chicken on a stick. The symbolism of this area is something of note too. While it is difficult to believe now, as late as the 1980s, the US was beginning to doubt it backed the right Korea. Poverty was up, democracy was still not implemented (military dictatorship), and in many ways, the South seemed to be lagging behind the North! In just 30 years following the “Miracle on the Han” South Korea has become one of the world’s top 15 economic powerhouses. While it might be the ’63 building’ that symbolizes that growth, it is in reality, places like Myeongdong that continuously display prosperity. Pro Tip – Street food has variety but is more expensive here than anywhere else. About an hour south of Seoul (or a couple of minutes by bullet train) is Suwon City, which holds the majestic Hwaseong Fortress. 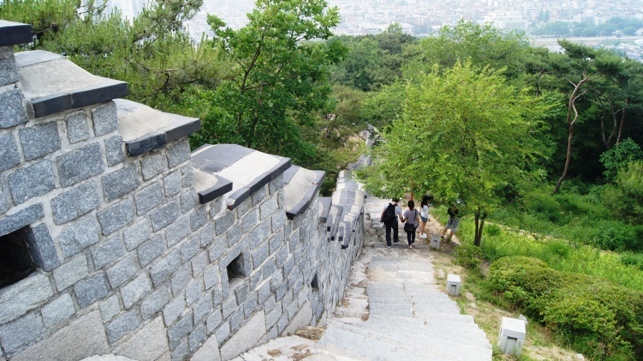 This UNESCO World Heritage Site is the best preserved city wall in Korea. You can walk along its nearly 6km circumference in this mini-version of the great one in China. Some of its best features are the water gate, incredible tile art in the center, and the archery sessions going on every day on the north east corner. Pro Tip – The archery is pretty cool and if you go in the early evening, groups of serious Korean archers shoot at targets 50 meters away. It is pretty cool to watch, especially after struggling to even hit a 10 meter target. Changdeok Palace is a UNESCO World Heritage Site and considered by many as the most important palace in Korea. 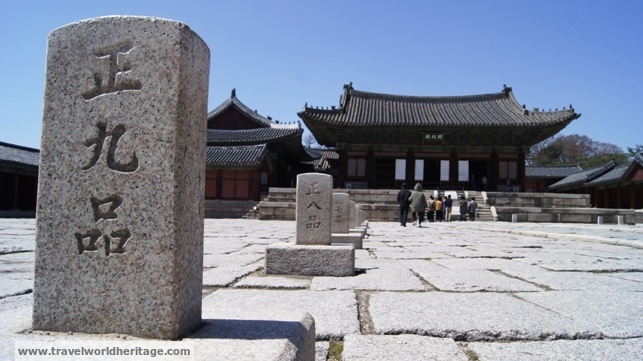 After the destruction of Gyeongbok Palace, it became the official residence of the king of the Joseon Dynasty and remains the more authentic of the two palaces. The huge gate, and central buildings are definitely the highlights, but don’t miss the Geumcheon bridge near the entrance which is around 600 years old and one of the oldest structures still remaining. Pro Tip – While individually amazing, many of the royal palaces look similar. If you have a limited amount of time, stick to this one and #1 on the list. This is probably one of the most iconic photo-op spots in Seoul. On this street are the monuments to the country’s two greatest heroes: King Sejong the Great, and Admiral Yi Sun Shin. From one point, you can see the two monuments, the gate of Gyeongbokgung Palace, and Bukaksan Mountain in the background (pictured). 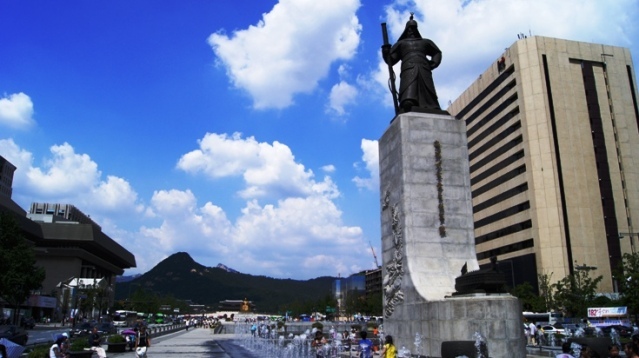 Who is King Sejong the Great? King Sejong the Great is credited with the invention of Hangeul, the Korean writing system. In the 1400s, Koreans used Chinese script, but Sejong sought to create a simpler system which eventually resulted in this: ㅂㅈㄷㄱㅅㅁㄴㅇㄹ. Modern Korean is phonetic, logical, and easy to pick up the basics as a result. Hangeul continues to be the only wide spread language scripts in the world that can be traced back so a single person. Have you ever heard of the Mongol Genghis Khan or Sun Tzu, author of The Art of War? Some people consider Yi Sun Shin to be a greater military commander than either of them. He skillfully helped design and used the famed ‘turtle ships’ to repel Japanese forces. His most incredible accomplishment came in the Battle of Myeongnyang where he defeated 333 Japanese warships with his 13 turtle ships, saving Seoul from a Japanese invasion. 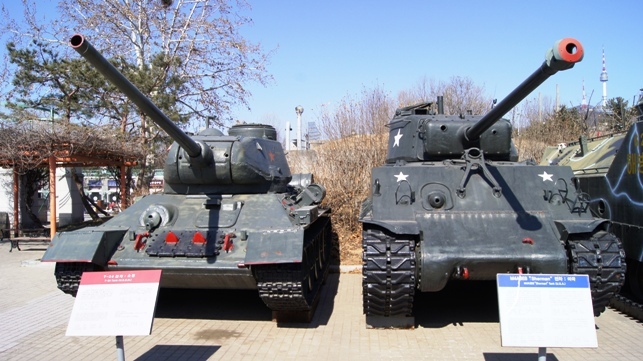 The outdoor part of the War Memorial Museum is best seen in the daylight as there are many airplanes, tanks, artillery, and even a ship from the era of the Korean War. The sheer number of relics is extremely impressive. The interior of the museum holds relics and demonstrations going back since the beginning of humanity appearing on the Korean peninsula. There are stone weapons that were used in the Neolithic era, and an eye popping amount of ‘evidence’ proving why ‘Japan is so evil.’ Despite the rhetoric, it is truly fascinating, detailing events of conflict with Japan, North Korea, and internal struggles over the millennia. Definitely another must see in Seoul. This is the best place to experience Korean nightlife. 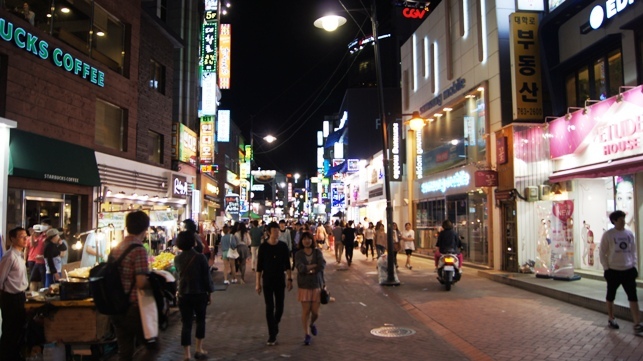 The area surrounding Hongik University (shortened to ‘Hongdae’) is full of bars, dance clubs, restaurants, street food, and more outdoor performances than all of Busan combined. If you feel the need to go hard until 10 in the morning, this is the place to do it. Pro Tip – Bring your passport, they card everyone. 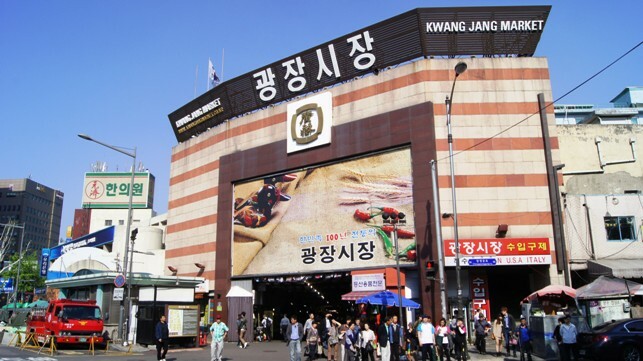 The centrally located Gwangjang market is one of the more interesting destinations in Seoul. 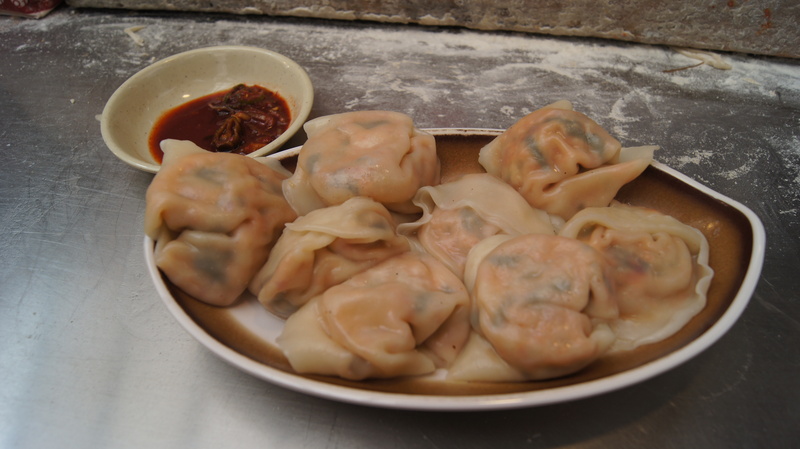 It has been gaining popularity these days with foreigners, but still retains its authentic charms. The two main things you will find here are textiles and food. Walk around for a bit to work out an appetite and check out the thousands of hanboks (the traditional Korean attire) on display. The best thing about this market is definitely the food, though, not gonna lie! They have colorfully named “Mayak” kimbap (Mayak means ‘narcotic’), and definitely, the best kimchi dumplings you will ever taste. On my most recent visit, I also tried some of the communal seafood dishes (served for 2 people or more) which was fantastic. This massive museum holds some of the most important treasures in Korean history. The complex is very well organized in chronological order from bottom to top. It starts with the story of Korea from the Paleolithic era when humans first arrived on the peninsula. From there, it takes us forward in time to the first dynasties, all the way to the end of the Joseon Dynasty in 1911. The top floor has a solid collection of Buddhist art as Buddhism was very influential throughout Korea’s long history. The outside of the complex also has many original stone lanterns that have stood for over a thousand years. While there is nothing on the era of Japanese occupation (1911-1945), the Korean War (1950-1953), or modern Korea, the National Museum of Korean Contemporary History and the War Memorial of Korea fill in those gaps. If you take a trip to Seoul, this museum is a must. Pro Tip – For special exhibits, events, and tours, check out the National Museum of Korea’s official site. Many times, the special exhibit is better than the main museum itself. For those of you who live under a rock, the DMZ is the 4 km wide line dividing the DPRK and South Korea. Despite its name, the DMZ is the most heavily guarded border in the world, separating two countries that are culturally, historically, and ethnically homogeneous, but philosophically and politically worlds apart. Access to the DMZ is by tour only with the highlight being the Joint Security Area. Seriously, the tour is not even worth it without the JSA part. After a very intense briefing by a US military officer, you will be led to the literal line that divides North and South. It is an area on the DMZ without a fence, barbed wire, landmines, and one only needs to take a few steps to be behind enemy lines. This is where the famed blue buildings stand, the UN meeting place to broker deals between the two countries as they have no official diplomatic relations. 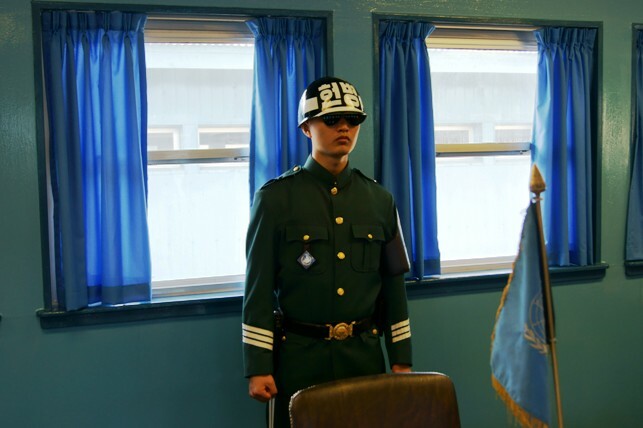 Pro Tip – Having visited the DMZ twice, I definitely recommend the USO tour above any other. …but of course, there can only be one #1. So, the best place to visit in all of Seoul is…. Gyeongbokgung is (still) the absolute best thing to see in Seoul. As you cross the main gate of Gwanghwamun, you enter the most beautiful palace in Korea. It is a recently rebuilt replica, but the original palace was built in 1395 and was the King’s home until its destruction during the Japanese invasion of 1592. Every 2 hours, there is a changing of the guards which always draws big crowds. There are often free performances inside as well as galleries and a large museum to keep you busy. Keeping up with tradition, the ‘jar room’ which was used to ferment and store fresh food, is still in use today. If you were to see a single thing in Seoul, I would recommend this one. However, seeing how you now know how awesome the city is, I am sure you will stay just a tad longer. 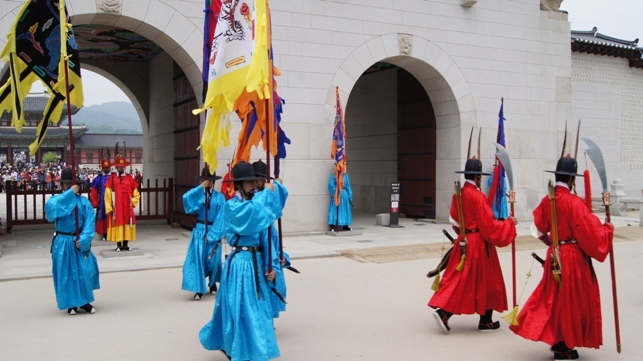 Pro Tip – This year, dressing up in a hanbok while entering the palace has really taken off and you really should get in on it. Directly to the west of the palace, near Gwanghwamun Station, there will be a few rental shops for 2 hrs or more at around 10,000 won (starting). Worth it! Seoul has never been that extremely high on my list, but that was before reading this post. The colors, the lights, the water, the temples, things are exciting there, and I am pretty sure we will now go ahead and take the flight that connects through Seoul next time we fly home. Thanks! Thanks for enjoying the list. It really has so much to do for a single city and this list doesn’t even do it justice. Even if you are on a long layover, you can do quite a bit as buses go directly from the airport to many of the main spots. Have a good one. First of all, thank you for the article. I enjoyed reading it very much. Just a minor nitpick: King Hyojong is not called ‘Hyojong the Great’ and is not considered anywhere among the best of Korean rulers. The two Korean rulers who have the suffix of ‘the Great’ are Sejong, as mentioned in this article, and Gwanggaeto who is known for his conquests. It seems that he also has the name “Great King” but it does not count as a title in the same sense as Sejong and Gwanggaeto. I will make sure to make a note of this when I update this list in a few weeks :). Thanks and I’m glad you enjoyed it. The 대왕 “Great” suffix added to the end of Hyojong’s posthumous title is added to every king of the Joseon dynasty, and is not the same title affixed to Sejong and Gwanggaeto. It would be erroneous to refer to Hyojong as Hyojong the Great in this sense. Thought you should know! Thanks, I appreciate it. Will fix it when I get the chance. the map cannot be enlarge to show all the coordinates so i can save the location into my google map account. Unfortunately, the map was not done on Google Maps itself, but on a plug-in called “Nomad Map” and as a result, it doesn’t give me the coordinates unless I get into the code (which I do not know how to do). You can zoom in on the top right within the blog and zoom in your browser, but not externally on Google maps (as far as I know). Sorry for the inconvenience. The map is accurate though so if you zoomed in and captured a picture, it is in the exact spot of the entrance of each place. That kind of the best I can do :(. Are you able to provide the GPS Coordinates for all location on the individual section? hence maybe i can track it under Google Maps GPS Coordinates. Sorry, but it is not code directly, it is a plugin. As a result, it is visual based and the map looks almost the same for me as it does for you. The best I can do is the same as you and zoom in on the blog itself, and cross reference the location with a google maps opened on another tab. I am afraid it would take a very long time. However, one of the reasons I wrote the names out in Korean is so that you could simply copy and paste each name on maps.naver.com and get the location there. I’m Korean, living in Seoul for about 30 years. But you know better than me. Thanks. Sometimes we miss the wonders of our own home. I’m from California and many foreigners know it better than me. It is sometimes nice to see it from an outsiders point of view. Thank you for the post, very helpful! Just want to say thanks for this awesome rundown of places to check out in Seoul. Heading there with 3 buddies soon and this will guide us where we need to go. Cheers. Thanks for the compliment. Really appreciate it. Thank you for such detailed information regarding travelling in Korea. Just wanted to let you know though, that the button that leads to 20-1 does not work… It just refreshes and stays at 40-21. I fixed it, sorry for the long wait.